I sprained my ankle. Hop aboard and ride the roller coaster of my reaction. F***! OUCH OUCH OUCH OUCH. Is the foot still attached? Oh ... it’s OK. I can probably walk this off. I hurt myself doing a handstand. Which means I was going for it. I hurt myself because I was practicing handstands. Away from a wall. On my hardwood floor. Badass. Look at me! I am brave. Oh nothing, just being a brave Cara, hurting myself in handstands like a friggin' badass. Does that dramatic shift in reaction surprise you? Because it surprised me. My ankle is swollen and in pain. That part isn’t fun. But a part of me is a little proud of myself. Just a few months ago, I was terrified to kick up into a supported handstand on the wall. (Honestly, kicking up onto the wall was my biggest hurdle in this handstand quest.) Now I’m kicking up without the wall! Sure, I’m falling. A lot. Sometimes it’s graceful (as graceful as a fall can be), but more often it’s clunky. I'll take clunky, because it sure beats trepidation. The immense fear of falling that got in my way for so long is diminishing ... so much so that I caught air, got excited and BOOM — a not-so-graceful landing that resulted in a sprained ankle. Our yoga practice teaches us important lessons we can take off the mat. In this instance, I learned that when you are trying to achieve great things, sometimes you fall. It’s painful. But if we don’t ever try — if we stay on the wall (or the ground or maybe the couch) forever — we’ll never achieve that greatness we’re striving toward. Sometimes, life gives you handstands. Sometimes it gives you sprained ankles. Yesterday, it gave me a sprained ankle. And I will wear it as a badge of honor because gosh darn it I was going for it. And I’m gonna keep going for it. 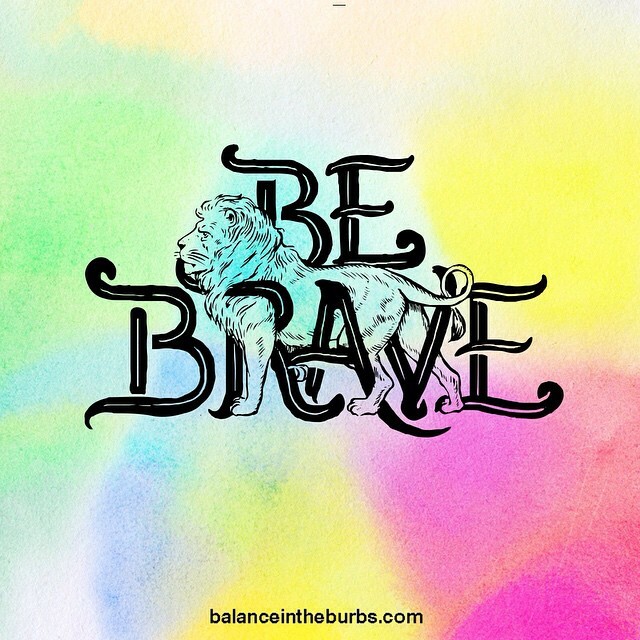 My bravery and my fear are battling it out, and my money’s on bravery for the win. P.S. I've been working on my handstands for a few months now. You can follow my journey on Instagram, where I share my progress (and sometimes, my falls).